replica of its looks and does well to replica the 7 shot system. reenactment of a Russian soldier. more appropriate in this emergency back-up sized model pistol. 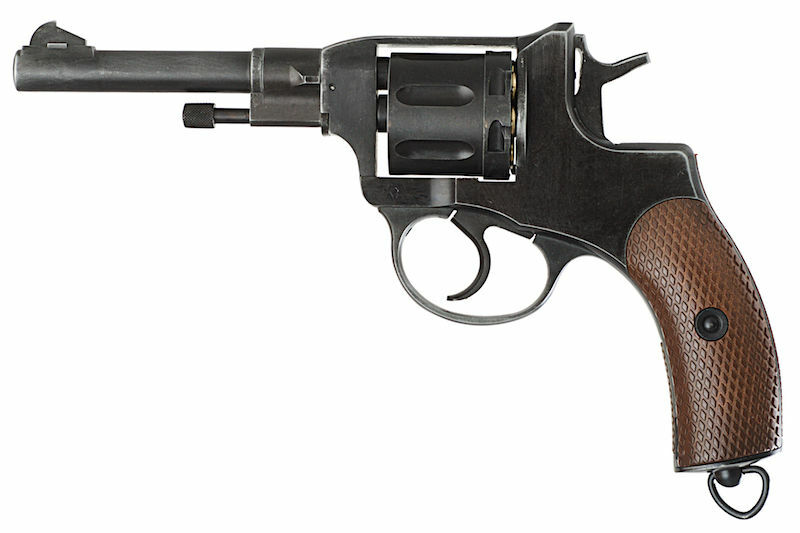 Full metal frame, barrel and cylinder assembly. Diamond textured imitation wood grip panels. Side-latch moves away from cylinder for loading / unloading. Easy to use Co2 cartridge system.